“Is it true?” you might ask, echoing the hallowed words of our sweet knight. Oh, it is so true. Champion of goodburgers and orange soda Kel Mitchell will return to Nickelodeon to appear in a new show, Game Shakers. Just look at how excited he is. We’re excited too, Kel! We’re the ones who are #blessed. I’d love to celebrate with you over five of those donuts, though I’m not sure why they’re there. 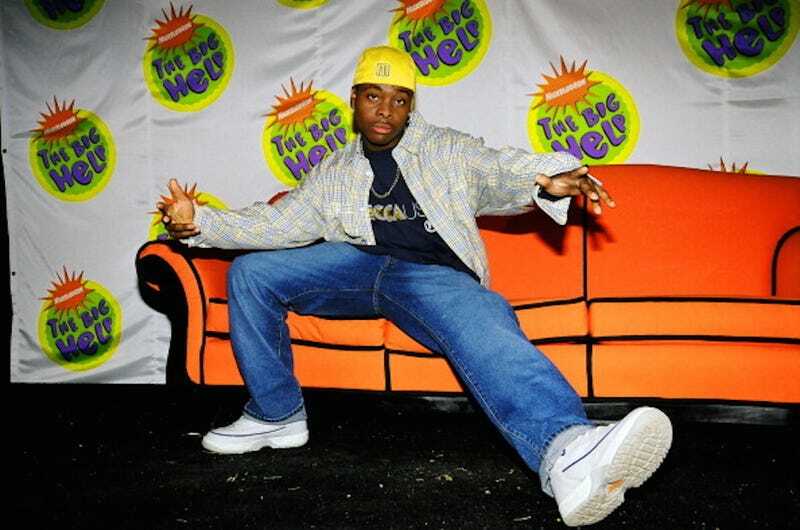 But Nickelodeon has always been a youth-oriented network, and Kel’s role on Game Shakers will, alas, mark his—our—departure from the halcyon days of childhood. Such is the cruel and swift passage of time. So on that note, let’s wrap up with a little vintage Kel, a scene I love and whose subject—Kel’s love for orange soda—I can’t revisit without some discomfort. But the unselfconscious effervescence? The utter dweebiness? Man, I love that. Welcome back, Kel. Top Image via Getty. Embedded Image via Twitter. Video via YouTube.